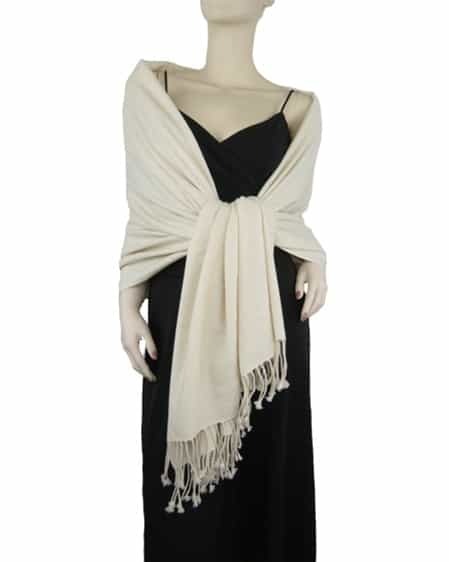 This big, beautiful beige shawl is a full 36" x 80", plus 3" tassels on both ends. It is carefully crafted by hand in Nepal using 100% soft and wonderful pashmina wool. Plus, it is luxurious 3 Ply...making it extraordinarily comfortable. This was exactly what I needed. 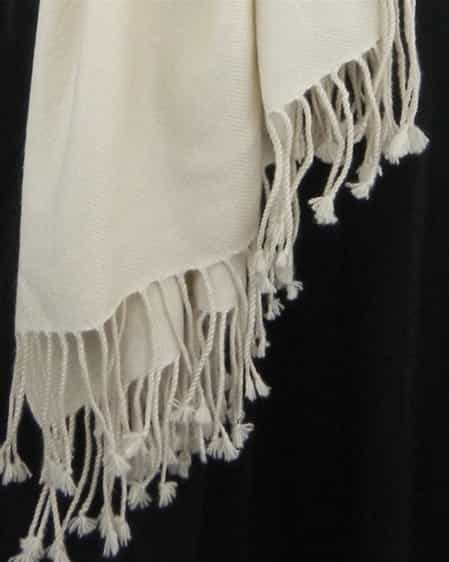 A light beige color on a light shawl. Very warm. Soft in every way - a nice soft beige tone and soft feel. We used several of the pashmina shawls at my daughter's wedding and they were very popular. They added elegance and warmth to our special day. I just love the high quality. Thank you for the high quality and rapid shipping.